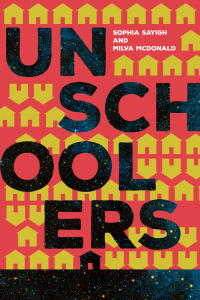 Some months ago, I was interviewed for a Pacific Standard piece on unschooling. The conversation I had with the reporter was long, winding, and enjoyable. The final piece inevitably left a lot out, but I thought it represented what we talked about fairly well. Then I read Gracy Olmstead’s interpretation of the interview in The American Conservative. Her piece about parenting in America talked about a few recent articles on the subject, including my interview. After reading her assessment of what I said, it came home to me yet again how difficult it is to convey the gist of unschooling to people who haven’t experienced it. While unschooling is laissez faire in the sense that parents get out of the way and let their kids take the lead in their learning, it is, at the same time, extremely hands-on. As I said in the interview, “You have to be able to help your kid and be a facilitator, and pay attention.” Facilitators facilitate, which is quite different than standing by and doing nothing. Unschooling parents know their kids well, they act as guides, and they provide and identify resources. Olmstead also seems to think that my comments raise questions about whether parents “should have an authoritative role in their children’s development—whether discipline is an important part of a child’s mental and ethical maturation.” Unschooling parents respect and trust their children’s innate desire to learn, and seek to remove obstacles (including imposed didacticism) that might hinder learning. That certainly doesn’t mean they don’t play a significant role in their children’s development. When Olmstead talks about discipline, I’m not sure whether she’s referring to disciplining children for errant behavior, or helping kids learn to practice discipline in their lives. As unschooling parents of our teenage daughters, it was quite important to us that they respect others and learn the importance of becoming contributing members of society. These values were not conveyed through lectures, lessons, or arbitrary rules and restrictions. Rather, they were “taught” by modeling, long talks, and exposure to the world around us. As to self-discipline, it’s been my experience that when people, including children, are given the time and space to pursue their interests, they do so diligently and with zeal. I only wish I were as disciplined as my unschooled kids are. Olmstead makes the sad mistake of believing that children can’t and won’t learn without being force-fed. She says, “…we must consider whether McDonald is right about young learners: will children sufficiently challenge their own predispositions toward laziness or ignorance without an older adult coaching and challenging them?” Given the ongoing crisis in schooling, I agree we must consider how we can most effectively nurture and educate children (though I reject the idea that people, including kids, are naturally lazy). By offering up a different model, unschooling can help explore those questions, but only if the observers can be open-minded enough to leave their preconceptions at the door and make a sincere effort to understand what we’re doing. In writing, in conversations with others, and whenever we can, I and my fellow unschooling parents will keep trying to communicate clearly and successfully about what it means to unschool. I can only hope that in time, Olmstead and others like her will finally get it.